The Wilson Open offers excellent comfort and traditional court feel for a great value. The leather upper and R-dst midsole provide cushioning, support and stability. The design combines modern lines with a classic look, giving it a great look for almost anyone. This shoe is a great choice for the avid club player who enjoys competing on all surfaces. Fit: Length fits true to size. Width is slightly snug. 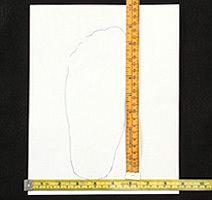 Arch support is medium to slightly low. No break-in required. Upper: Synthetic leather with a stitched overlay for forefoot support and stability. Midsole: R-dst outsole for dynamic cushioning and court response. Outsole: All-court outsole for durability and traction on all surfaces. 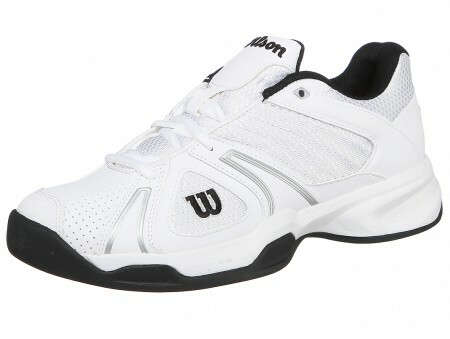 The Wilson Wilson Open White/Black Men's Tennis Shoe is now available online at our iTennis Tennis Store.